From Goodreads ~ My friend Elaine was the prettiest girl in school when we were growing up. She had two friends, Gail and Gwen, who were also beautiful - the cheerleaders, the fun girls. I was not one of the prettiest, and I knew this early on, the way young girls do. If you can't be one of the prettiest, then you try to be the smartest girl around. That was my aspiration. So imagine my dismay in the sixth grade when the results of the IQ tests came back and I found out I wasn't the smartest girl either. Beauty and brains - I figured I could get by without one of them, but both? What was I to do? 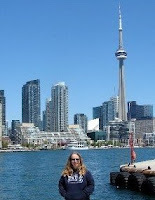 In this book I want to have an honest conversation with women about what it really takes to get what you deserve out of life: how to define your worth and stick to it; how to find the courage to take risks - and how to build your backup plan; yow to ignore the chattering classes (and the fearmongers) and create your own destiny. 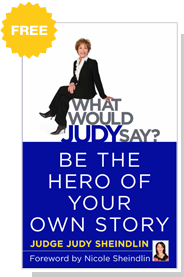 This is a book by Judge Judy on how to be the hero in your own story. She starts by giving some background about her life ... being the daughter of a dentist who told her she was special and could be anything she wanted to be. She was the only female student in law school. Upon graduation, she and a fellow student got jobs with the same company ... he was in the legal department and she was in sales, though. She left that job to start a family. She yearned to get back to work and became a working mother and eventually "Judge Judy". It was an interesting and fun quick read.